A unique gift for the obedience fans amongst you! 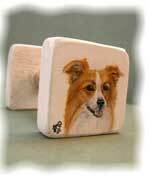 Have a portrait of your dog painted on a wooden dumbell in enamel, triple coated with external varnish for durability. 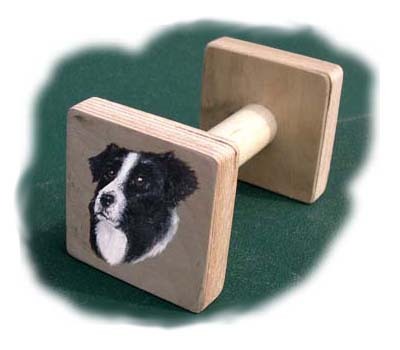 Provide your own dumbell or choose from a selection of sizes. This is for the cost of the painting only. If a dumbell is required, the cost of dumbell will be added. If you would like more information or to place an order please contact me.